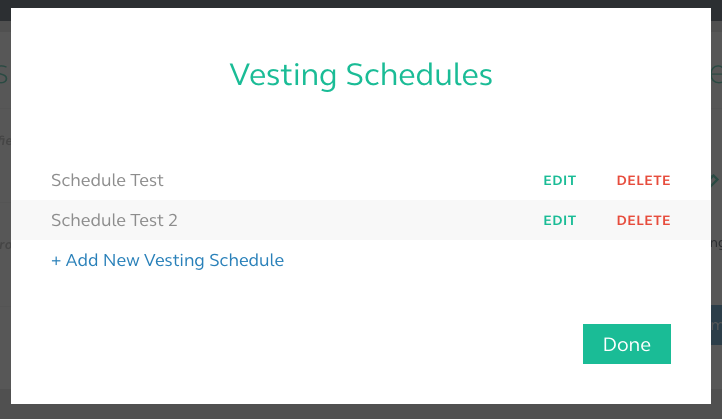 This will then bring up a page where you can see all of the Vesting Schedules that you have created and saved. To edit a saved vesting schedule simply click EDIT. 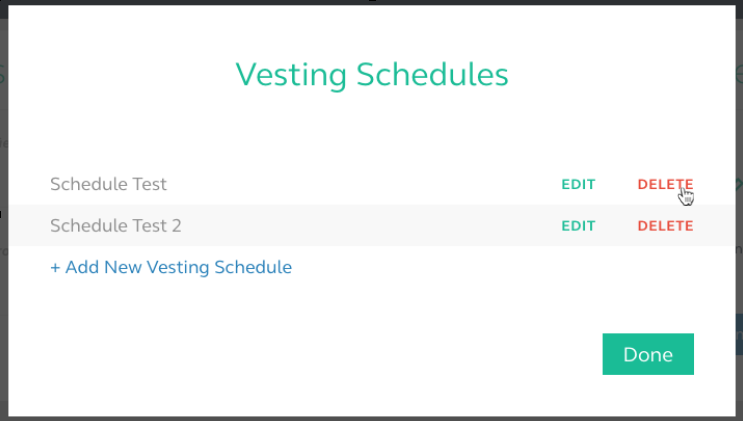 You will then be shown the current details of the vesting schedule selected. After you have made necessary changes just click SAVE. 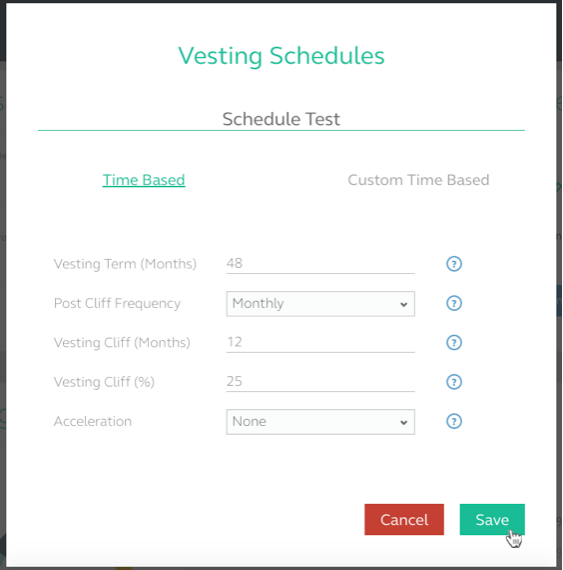 To delete a saved vesting schedule simply click on DELETE.